A Shadowy Start… The Craft in Prehistory. 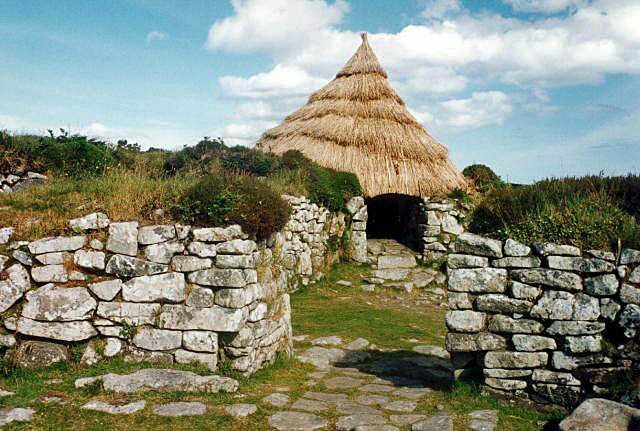 For very many years, it was accepted that the first permanent buildings erected in Britain, dated to the Neolithic or New Stone Age; the time of the first farmers. But recent discoveries have pushed this event several thousand years further back, well into the period of the Mesolithic or Middle Stone Age. 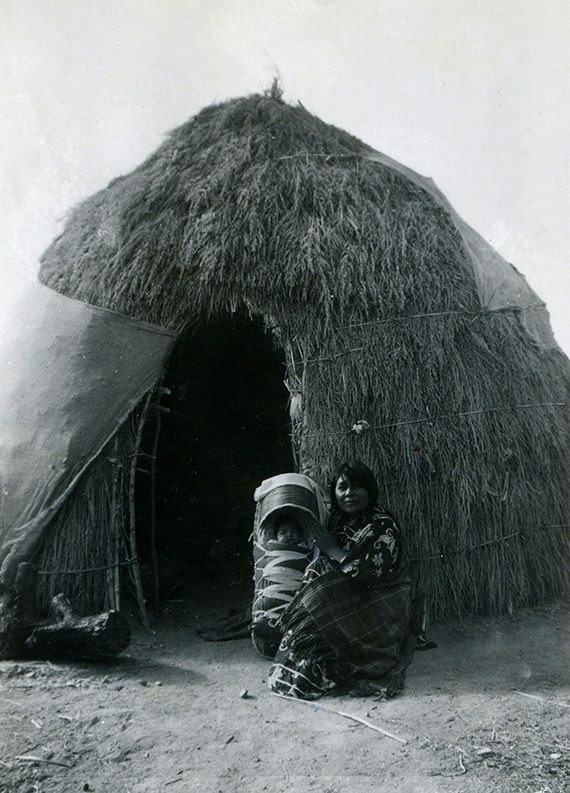 In this period people lived a nomadic life, probably travelling within a local area, in pursuit of various food sources. And it now seems that they built some structures, intended to last quite a while. Same shape & size…This image, is only a century or so old. The property belonged to the well known New Forest snake catcher; ‘Brusher Mills’. He lived in this simple home for many years. Many other such buildings, littered the remoter parts of Britain until quite recently. Giving temporary shelter, to charcoal burners, chair bodgers and such like. Many carrying a thatched roof. 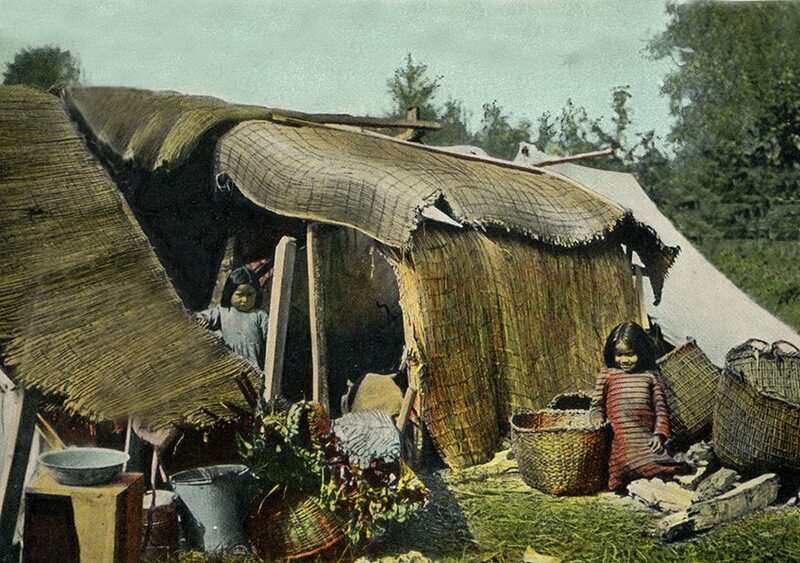 Mobile Homes… In around 1900 some glimpses of a prehistoric, nomadic life could still easily be found. The left hand image, shows an Apache ’wikiup’. Constructed and thatched in couple of days; to last a few months, as these people historically, moved over what is now the south western United States. The lower left image, depicts that classic nomadic race; the Roma. 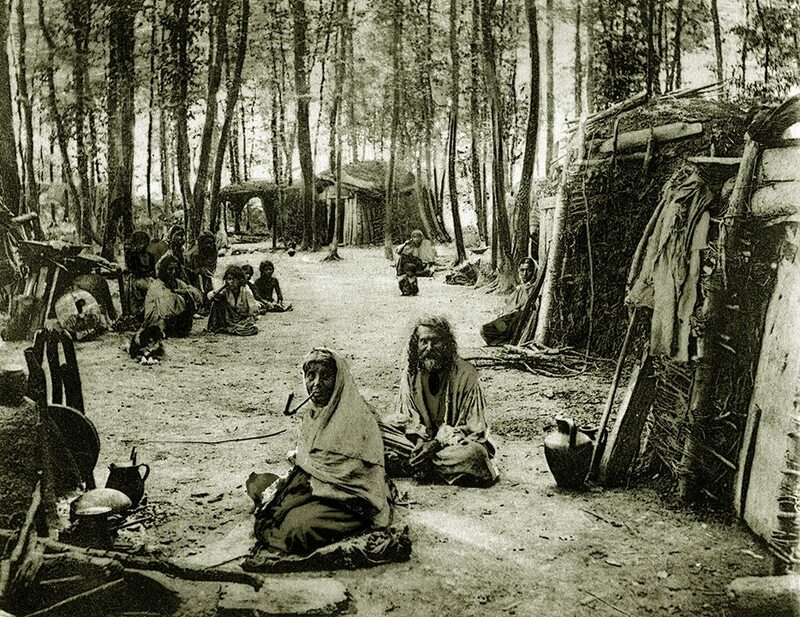 This group was pictured in Hungary, a thousand years after they began their wanderings, from India. These people moved around in heavy carts, not in the canvas covered caravans of popular imagination. And it seems a sectional wattle hut, roughly thatched, served as a home, when they settled for a while. In the lower right hand picture, Tule rushes are woven into mats. Which could be rolled up in minutes, by the native American peoples in what is now Northern California. This being more of a summer residence. The average structure was around 27x16ft (8×4.5m). Thousands of existing thatched cottages, still reflect these proportions… The width, of around sixteen feet (4.5m), keeps reoccurring down through the centuries. This is around the maximum roof span, that can be obtained without recourse to a complicated roof structure. A reason why houses were long and not wide. The distance, between the big roof timbers, became known as a Bay. Thatch, as far as the eye can see… These dwellings are of a very similar size and shape, to those that once stood near Stonehenge. 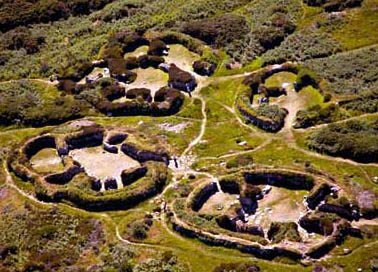 And allow us some idea, of what that Neolithic settlement looked like. 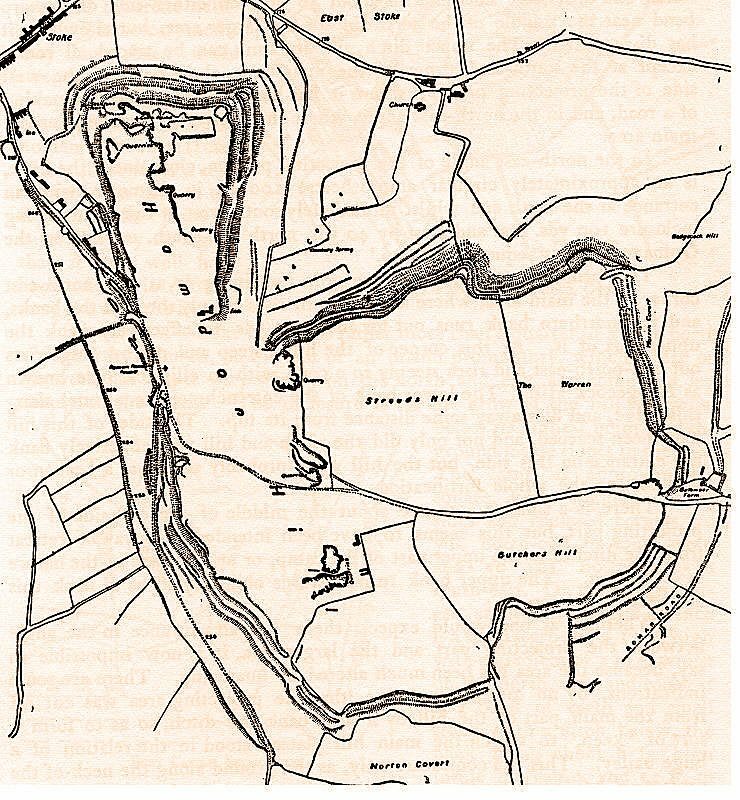 And the later towns, that once graced the interior, of some mighty Iron Age Hillforts. 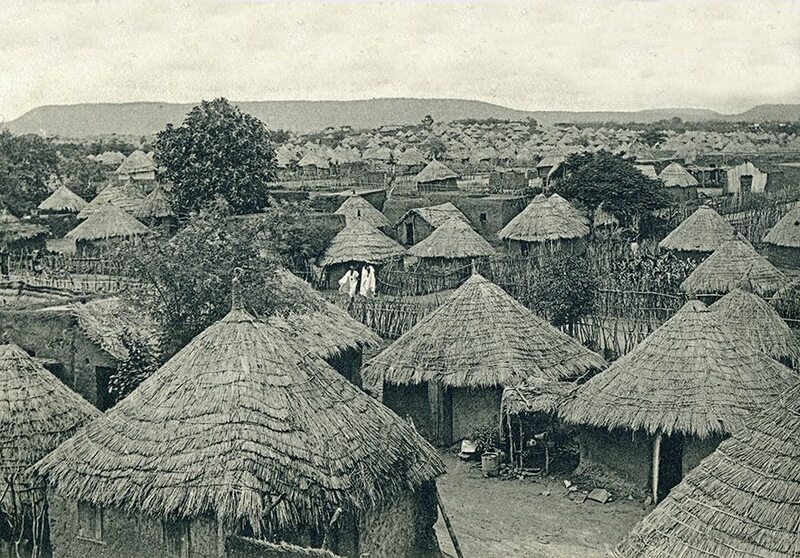 In reality, these buildings were occupied, by the good citizens of Kayes, now in Mali in around 1900. Sixty squares… This huge structure, must be around that size. Giving an idea of what some prehistoric sites may have looked like. Dating from the 1880’s, it housed the burials of the Kings of Buganda. 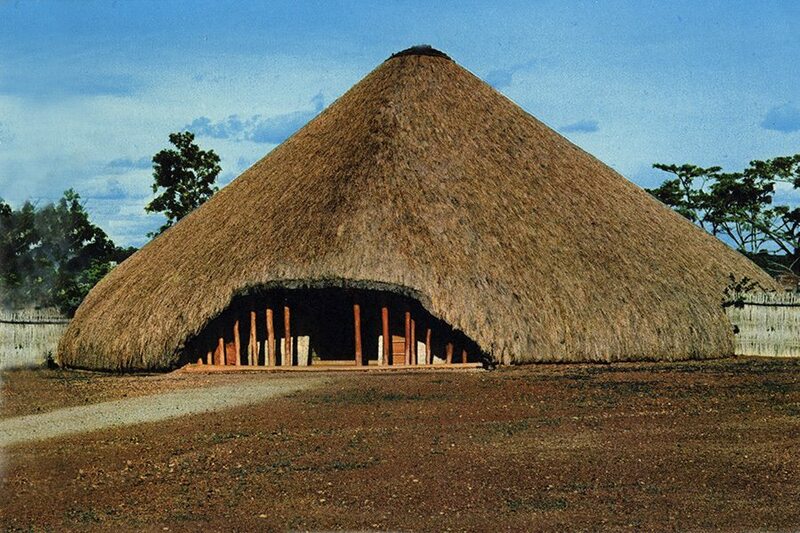 Situated near Kampala, in Uganda; this thatch became a World Heritage Site in 2001. It is perhaps more than a coincidence, that the introduction of metals into Britain, also brought a change; in the shape of most structures. The peoples that brought one, may have reintroduced the other; as the round house now makes a return. These became the standard dwellings, throughout the Bronze and Iron Ages, and well into the Roman occupation. 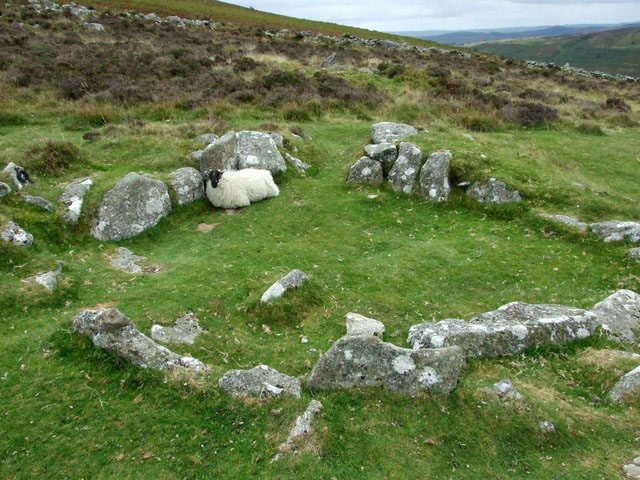 This period saw the climate becoming benign, with areas such as Dartmoor being populated. The remains of many of the stone walled houses there, are still to be seen. They follow a similar pattern; round and between 8 and 22 ft (2.5 to 6.5m) in diameter. Sheltering Bronze Age families; who lived here around three and half thousand years ago. Traces of porches are often found; to keep the rain out of their living area. But not all buildings were circular. 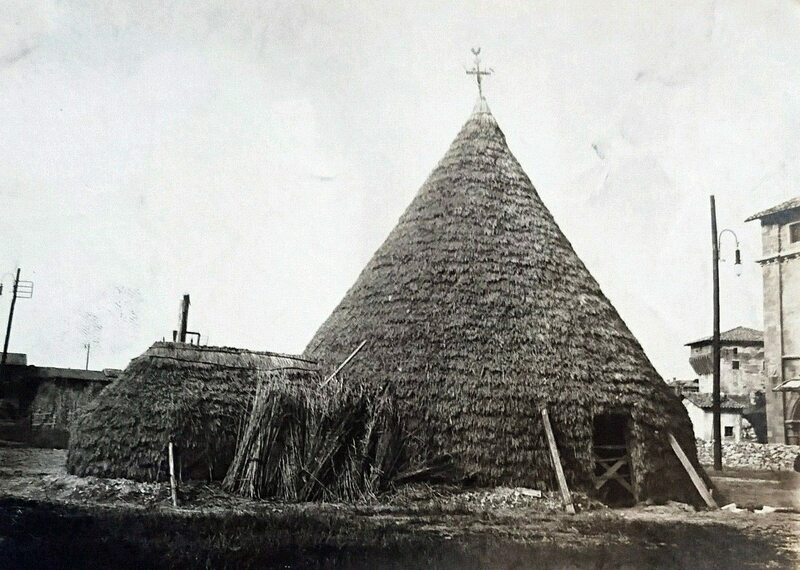 The marshy ground, at Flag Fen in Cambridgeshire, has revealed a large oblong, hall like structure, three thousand years old; along with the more usual roundhouses. 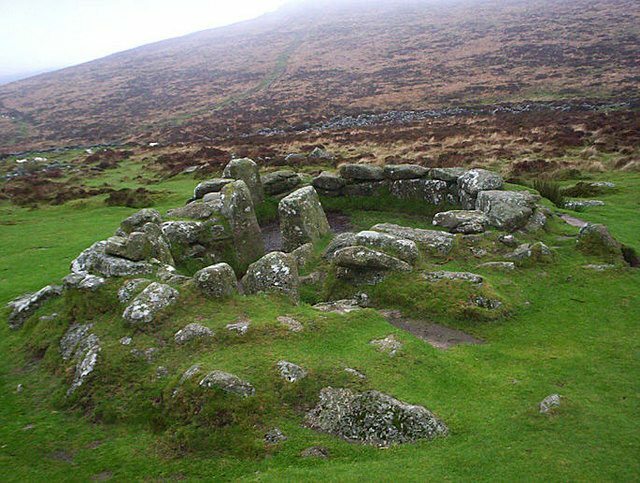 Although only half the size of it’s Neolithic forebear, in Aberdeenshire, it would still give thatchers, over twenty four squares of roof to complete; the size of a very large modern house. Flag Fen… Large, reconstructed roundhouses. The angle of the thatch would have been greater in times past. 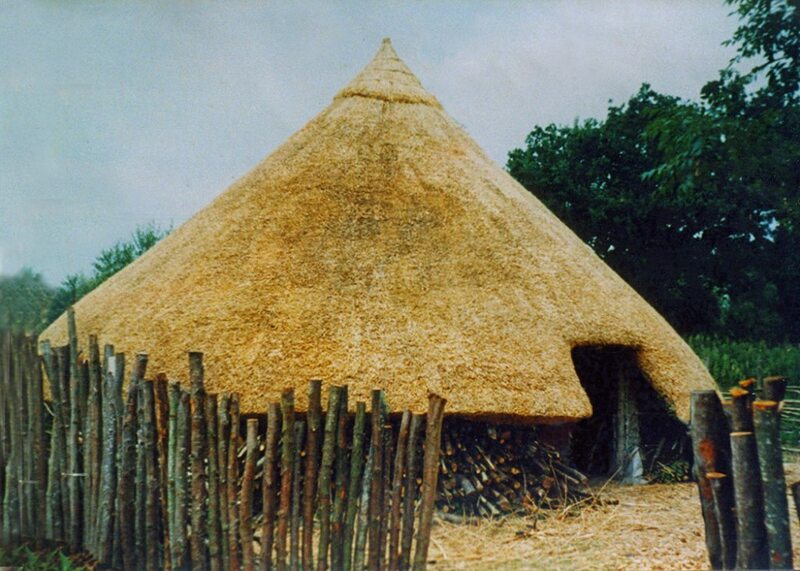 To obtain a long lasting, waterproof roof, 45 degrees of pitch, is required, for both Bronze Age roofs and modern ones… Photo; copyright and thanks, Jo Turner*. 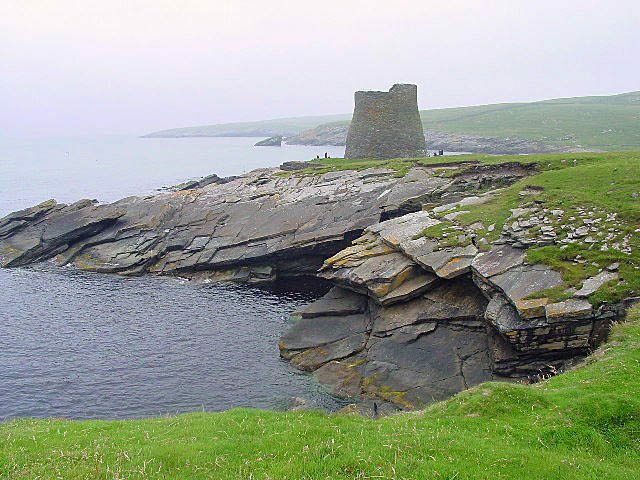 As the existence of brochs and hill forts show, the last five or six centuries before the Romans appeared, were an unsettled period. 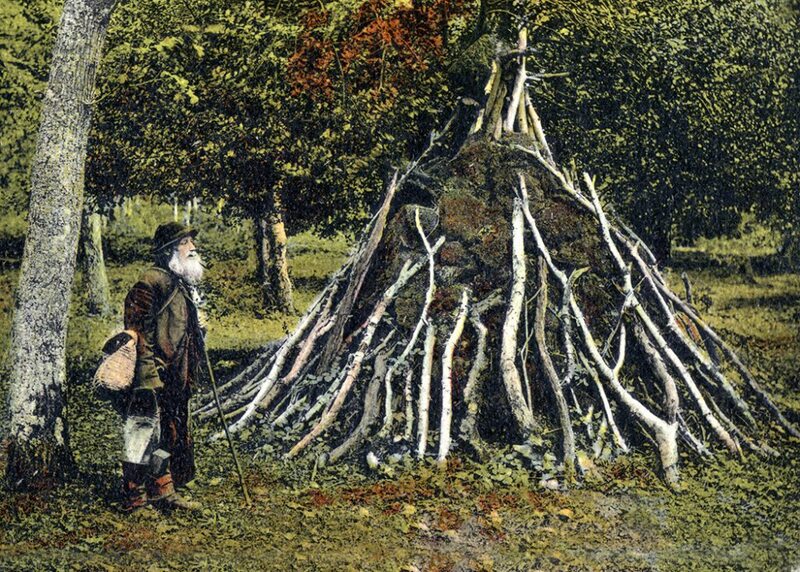 Some Iron Age peoples chose to live on islands, real and man made; known as Crannoghs. Being near the water allowed the easy gathering, of reeds and rushes, to thatch the buildings on these little islands. The Lake Village, near Glastonbury in modern Somerset was an example of this type of settlement. The buildings here ranged, between 18 and 28 ft. (5.5 to 8.5 m) in diameter. The excavators found traces of wattle walls, but no thatch… I was involved in the reconstruction of two of these houses. 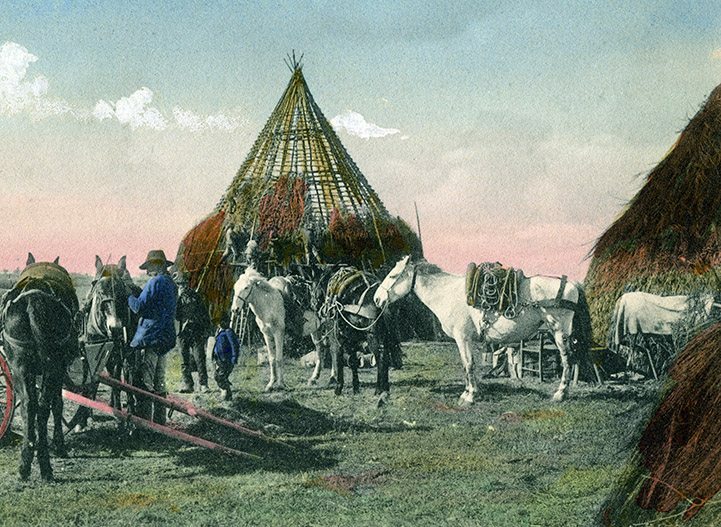 Most thatch was tied on; only the top two or three courses and the ridge, being fixed with spars. No tools or materials, that were unavailable to an Iron Age thatcher were used. When completed and the central fire lit, the building soon became quite cosy; if a little smoky . 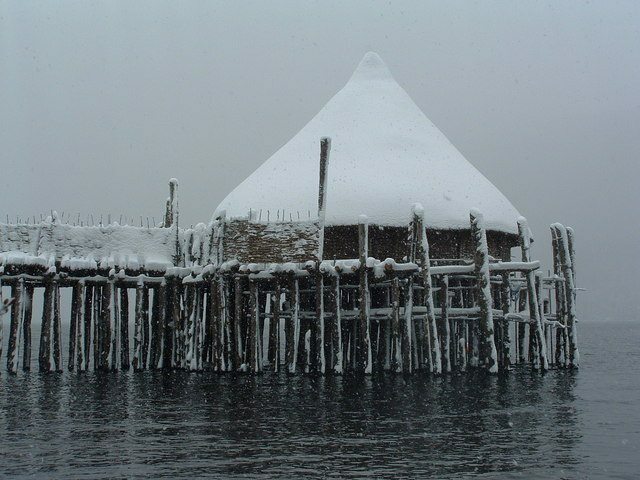 After two millennia… Two reconstructed dwellings, from the Glastonbury Lake Village. On the left, is one of twenty six feet (8m) in diameter; the upper one, is three quarters of the size, with a porch. 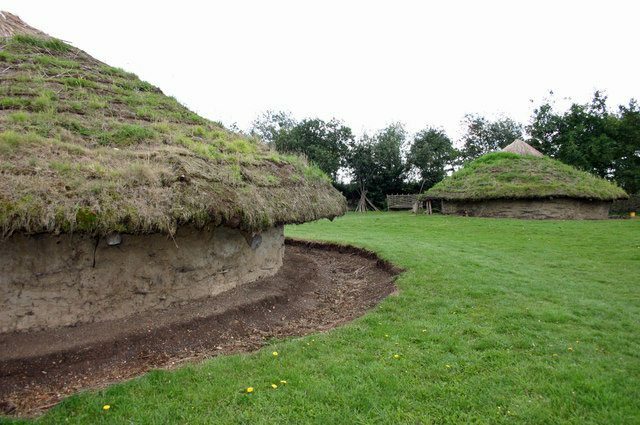 The larger of the buildings, would have housed an extended Iron Age family; living under a roof of around nine squares of thatch. The same area as a good sized cottage. The Romans; Baths, Roads and Tiles… and lots of thatch. 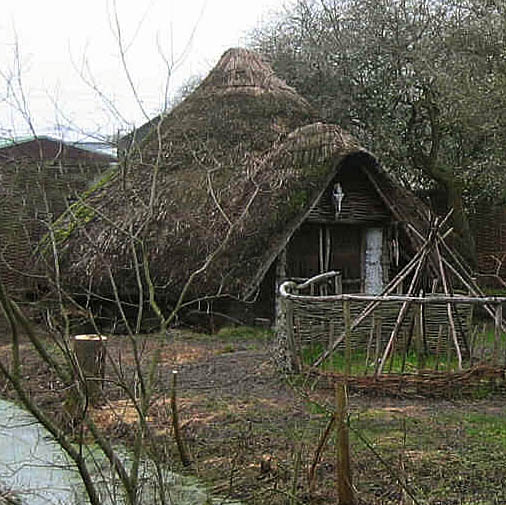 What did the Romans know about thatch?… More than we imagine. Ancient writers mention, that the thatched hut of Romulus was preserved on the Palatine Hill; in the very heart of Rome. 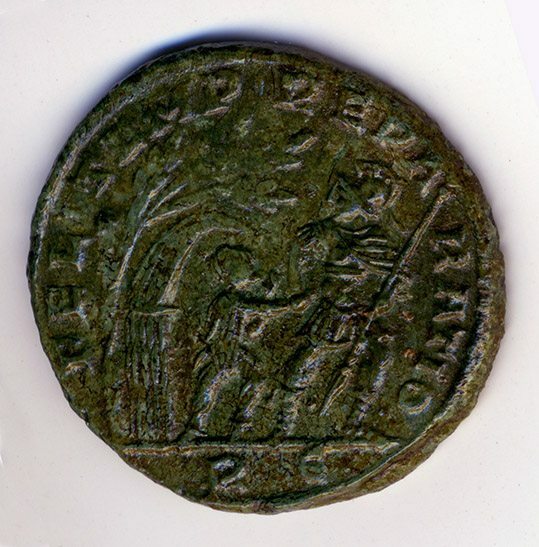 To remind Romans, of their rudimentary origins… The coin, is from the reign of Constans, the last reigning emperor to visit Britain; in 343. It shows a young barbarian, being dragged from his stylised thatched hut. So it seems the Romans officially regarded the craft, as somewhat backward. But in reality, it was too useful to the empire’s citizens, to diminish to any extent. Completed roof… ‘A shepherd’s hut in Lazio, 1913’. Very few Roman villages have been excavated, rich villas and vivid mosaics, are more rewarding than post holes, it seems. It would appear, that most buildings were of wood and thatch; but a few tiled, masonry structures, acknowledged the technologies of the new rulers. When the first cartload of tiles, trundled off one of the straight new roads and down the track, to some remote village, we can only imagine the thoughts of the inhabitants, as this new roofing was first used… The world they had only glimpsed, on market days, in the nearest town; had finally spread to their small hamlet. They may have found the new buildings, somewhat stark and cold; compared to their snug, thatched dwellings. But here was the future no doubt. If the thatchers at this time, thought their craft was doomed, they were wrong. Tiles became as redundant, as the empire that brought them. As the peoples that now coveted these islands; were much more in tune, with the culture of the native inhabitants. Nine out of ten of them at least…..